Palmetto 1998 - 113 min. 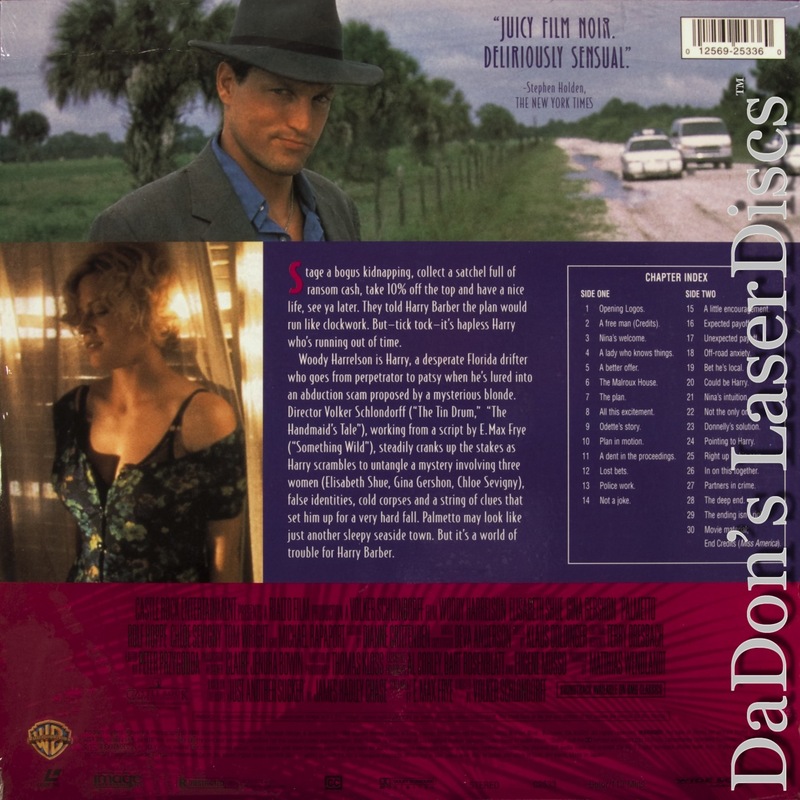 - Color Genre: Thriller Rated R Country: USA LaserDisc Movie Storyline: Upon returning to his fetid Florida hometown after a bum-rap prison stint, grizzled and jaded ex-muckraker Harry Barber gets a curious proposal from the bored young wife of a decrepit millionaire: kidnap her stepdaughter and split the hefty ransom. But before you can say "plan gone awry," the plan's gone awry--and Harry's the convenient fall guy. Revisionist noir, based on "Just Another Sucker" by James Hadley Chase.